Jeppe Bundsgaards kommentar til artiklen “Udfordringer og muligheder i netbaseret undervisning” i MONA 2011 (1). The main aim of the symposium is to investigate, at both a theoretical and practical level, the quality and sustainability of a variety of models and key concepts of how communication and collaborative e-learning communities may be successfully developed, implemented and supported in higher education contexts. 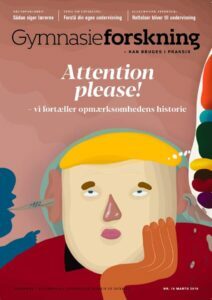 Afhandlingen undersøger, hvordan it-baserede læringsressourcer som E-læringssystemer, digitale biblioteker, weblogs m.m. udvikles og bruges i undervisningen. og bart lærebøger transformeret til it. Artiklen analyserer tre it-materialer.